Our cloud-based Tracking Platform serves as a central viewpoint for all of your business assets. The only system to manage your entire tracking requirement - covering personnel, vehicles and equipment across indoor + outdoor environments. Log in to the Web Portal or App to view the location and status of each item in real time. Whether you need to manage 5 or 5000 assets, our systems are designed to be accessible for every business and grow with your requirement. Define custom business rules and be notified if something is outside your allowable variables. 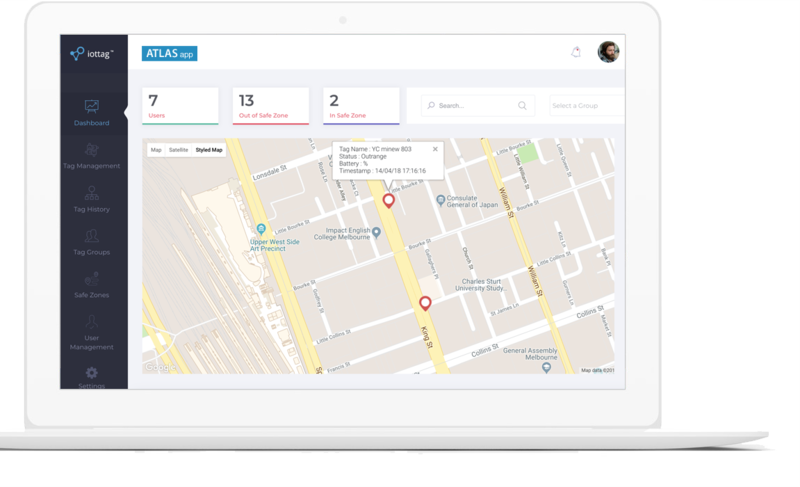 Simply TAG each of your assets and receive vital information including location updates, timely notifications and security alerts. We have developed a cloud-based real-time locating system (RTLS) designed to increase utilisation of assets and decrease losses. Our new technology is cheaper, more efficient and more reliable than anything else available on the market. We know RTLS inside-out and with a wealth of experience to draw on you can trust us to design a solution specific system which fulfils your requirements perfectly. Our cloud management system assists in monitoring personnel and assets to improve efficiency. 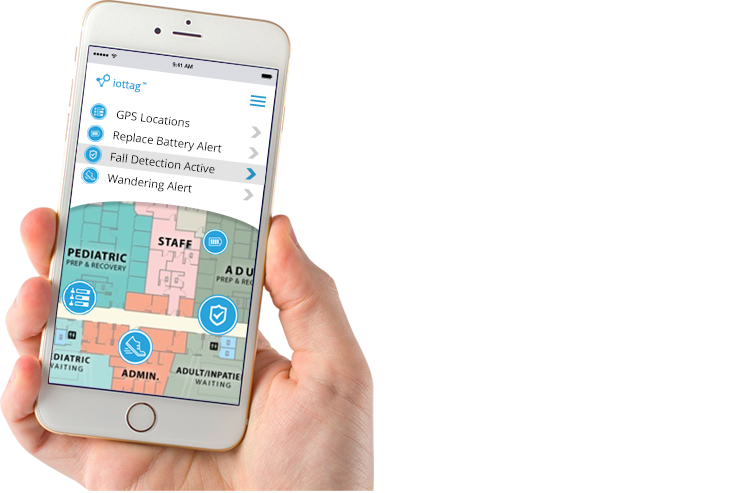 Instantly locate equipment, vehicles and staff – receive notifications when they pass outside of designated safe zones. Trigger real world actions such as email, SMS, push notifications and calls based on custom business rules. No matter the size of your facility, we've got you covered. With receivers available for internal and external placement, we support everything from internal tracking shown on a site map to external applications with tracking outside your facility - wherever you need to track we can make it happen. Know what you have and where it is – always. Define safe and danger zones for each tag to receive instant alerts. Analyse heat-maps to identify points in your processes which can be optimised. Automate patient record processes. Use zone tracking for awareness throughout your facility or leverage GPS technology for offsite visibility. Instant SOS alarms and Fall alerts are available to ensure prompt staff response. Create a perimeter of receivers around your facility and receive alerts whenever a patient exits. Retain time-stamped records of egress indicating direction of travel to assist in locating. Our solution is able to integrate with a variety of Wi-Fi brands allowing us to use your access points as receivers. Enquire today to see if you can launch an RTLS solution with zero infrastructure. Local Australian support is provided with all iottag solutions, this covers entire system architecture from site survey to installation of components. We understand there can be many challenges when implementing new technology and are available 7 days a week to ensure a smooth rollout. Get up and running in 15 minutes. You don't need to be a rocket scientist to use our systems. They have been designed to be intuitive and accessible - RTLS made easy. We provide comprehensive onboarding and training for staff members so that they know exactly how the system works and what they need to do day-to-day to maximise value. Our cloud-based system allows iottag specialists to maintain and upgrade your systems instantly over the air. The CDC states that one patient out of 25 will acquire at least one hospital-associated infection. Here’s how to drop that stat by 70 percent. Iottag provides turnkey asset management systems, designed and developed in Australia. We provide comprehensive local support from our Melbourne office as well as select partners across the country. Our proprietary systems empower organisations with real time information on their most important assets. This data then passes through our analytics engine to identify patterns, generate heatmaps, and flag anomalies. Through the application of big data principles, we have the ability to identify elements which do not match expected values. Once these elements have been identified, corrective action can be taken by management to create new operational efficiencies; resulting in reduced capex and labour costs improving the bottom line. Our asset management systems provide substantial ROI through preventing loss and unlocking insight into your organisation’s day-to-day operations. A typical deployment will utilise existing wifi infrastructure as receivers for tag advertisement data, which is then relayed back to our server for processing. The resultant information, including asset location and telemetry data, will be displayed through the iottag portal. Prior to installation we recommend performing a physical site survey, which involves one of our technicians coming on-site to identify preferred receiver placements. We then measure signal strength throughout the required areas, noting propagation and penetration through walls, interference levels and dead-zones. We are long standing advocates of leveraging RFID technology such as Bluetooth for enterprise applications. Bluetooth is entering new markets due to the robust structure and ubiquity of the protocol throughout electronic devices today. With the recent release of Bluetooth 5, the range, power draw and bandwidth of Bluetooth devices have all been improved. These benefits will be reflected in new hardware revisions which will utilise new RF chips to enable greater coverage for receivers, longer battery life and faster peak data transfer rates. Bluetooth has been used for marketing and wayfinding purposes for a number of years now. These beacons are fixed in place and programmed to broadcast a constant signal which is picked up by customer’s personal devices, such as mobile phones and tablets. For wayfinding, the signal from multiple beacons is collected and interpreted by an application running on the phone. Through special algorithms involving trilateration and triangulated using signal strengths user position is calculated allowing their current location to be plot on the map and directions to be given. Another industry which has driven adoption of beacons is the retail sector. Many stores deploy beacons throughout their locations which are set to broadcast targeted messages based on the requirements of each particular store. For example, it may direct shoppers to a new product, Of course, these systems are not mutually exclusive – locations such as stadiums, shopping centres, museums, department stores would benefit from both marketing and wayfinding beacon solutions. While we have a strong history and will continue offering these traditional applications we are very excited about the next chapter of Bluetooth within the business market. While these beacon-based technologies are exciting, we are just scratching the surface of the possibilities of Bluetooth powered systems. We see a future where manufacturing, construction, corporate, education, government – are all using Bluetooth based systems to achieve new levels of productivity. We are on the cusp of a digital industrial revolution where everything is becoming connected. This new ecosystem has been termed the ‘Internet of Things’ (IoT), and is set to have the biggest impact on industry we have seen since the introduction of personal computers. We are on the frontline of this paradigm shift and it is at the core of our identity – so much so that it defines our company name iottag (tags for the IoT). Our mission is to provide the hardware and software necessary for you to join the IoT wave. Gain new visibility and insight into your assets, processes, and procedures. Our core products are a suite of tracking solutions that leverage an array of technologies, including Bluetooth as well as proprietary bands. We have reversed traditional beacon behaviour – rather than simply broadcasting messages, our beacons are designed to also receive signals.  This means that we are able to pinpoint the location of your customers, assets, staff, vehicles, machinery and much more. By attaching one of our asset tags, you are able to track anything throughout your facility. Our tags operate on the 2.4 GHz band allowing ultra-low power consumption over a large broadcast range. The battery will last for up to 36 months providing a solution which is both long life and low maintenance. When delivering one of the systems outlined above, we work closely with you to ensure that the software meets your requirements perfectly. We create custom portals built to your specification. With a dedicated design team, we work with you to make your interface sleek and intuitive – providing access to the right information without delay. All of our projects are engineered by our experts to be powerful and responsive – ensuring maximum system capability and reliability. RFID is an acronym meaning Radio Frequency Identification. This technology branch has a rich history across many diverse industries – from retail security to manufacturing and even timing of athletics races –in all of these scenarios radio waves are used to automate collection of required information. These traditional applications used a form of RFID called ‘passive’. Put simply, passive RFID tags have no battery, instead sourcing power from incoming radio waves. Once receiving the power the tag then reflects a uniquely identifiable radio wave. As there is no battery the tags are a simple printed circuit and thus very cheap to manufacture. The limitation of passive RFID is that in order to work there must be an ‘exciter’ and a ‘reader’ in close proximity – these elements are often very expensive and locked inside proprietary ecosystems. Fast forward and we reach the advent of active RFID tags. Active tags address the constraints of exciter presence and low read range by including an onboard battery. This means that the tag has a local power reserve and can transmit a predefined message many times (thousands – millions) before expending its battery. Active RFID tags opened up a whole world of new applications which worked to establish the technology as a mainstay for those familiar as well as bring it to many industries for the first time. Active RFID forms the basis of our RTLS systems and unlocks a multitude of efficiencies for organisations across the world. Asset tags are one of the key components of an RFID system, and also the most recognisable. In traditional systems this is a passive rfid circuit which relies on exciters to energise them, while active RTLS asset tags contain their own battery and can operate anywhere, eliminating the need for exciters. Understanding assets – where that are and how they are used – has always been an area where businesses require more information. struggle. 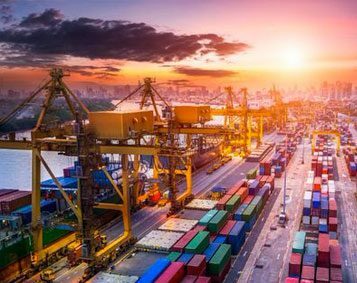 iottag offers comprehensive asset management solutions to allow you to quickly and accurately locate your most important assets and analyse their usage metrics to increase operational efficiency and affect your bottom line. Save time, streamline operations and reduce expenses. GPS technology allows a device to identify its location anywhere in the world. Access to these devices have changed the way we interact with the world around us – for example, rather than calling to check in with each delivery driver, organisations are empowered with technology such that location updates are automatic and autonomous. The acronym GPS stands for Global Positioning System and operates via 32 satellites in orbit. The satellites circle the Earth at an altitude of 20,180 km and complete two full orbits per day. Each of these satellites provides geolocation and time information to ground devices. The Australian population is aging. Over the next 20 years the number of people over 85 will double. At this age range the risk for dementia and other memory related diseases skyrockets – If you reach 85, one in four will have dementia. By the age of 95, it’s one in two. One of the biggest worries for dementia sufferers and their carers are the risks associated with ‘wandering’. As a result, people living with dementia may not be able to find their way back home and become lost. Critical wandering that involves the senior leaving the home or facility where they live is referred to as elopement and is extremely dangerous for the wanderer. Search parties need to be arranged quickly to locate the senior before weather, nightfall or panic set in. Through the use of GPS technology we can assist in caring for the elders of our community. Simply by carrying a small device (approximately the size of a matchbox) we can determine their location – wherever they have wandered to. Eliminating the need for long search parties and the worry that comes from uncertainty. 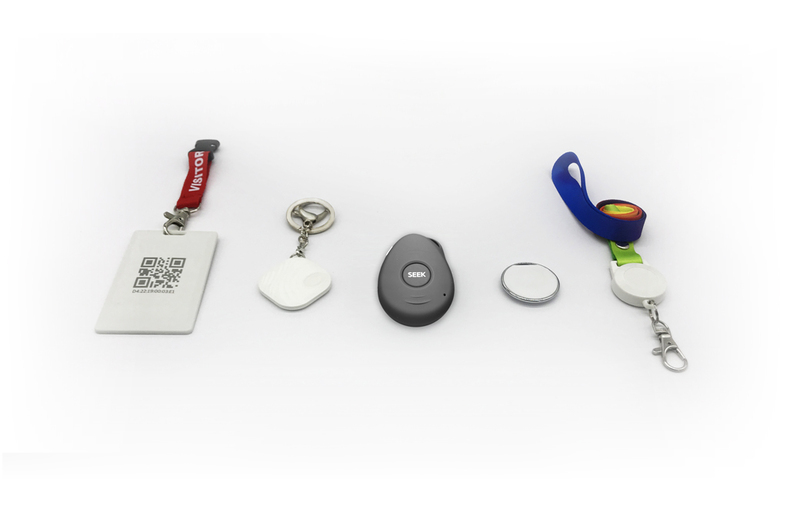 Our device has been designed for purpose as a GPS tracker for Alzheimer’s and dementia. It includes an easy-to-use self locating charge dock, IP65 rating to survive daily use and a two button power down sequence to ensure it is not accidentally turned off. The above features form the core of our alerts suite, ensuring that you are always aware when action is required. Whether it is a fall, panic attack or just checking that the day trip goes as planned – with SEEK GPS you will be empowered with the knowledge enabling prompt responses and peace of mind that everything is alright.